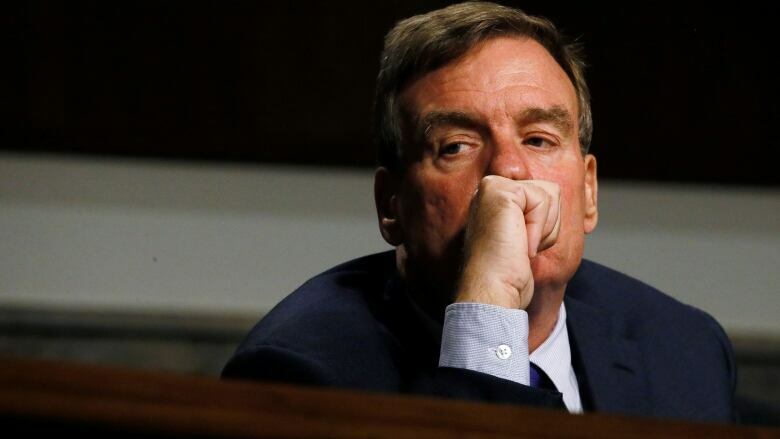 Vice-Chair of the U.S. Senate Intelligence Committee Mark Warner joined CBC's Power & Politics Thursday to talk about why he thinks Canada's use of Huawei 5G technology would pose a risk to the U.S.
Canada's inclusion of Huawei technology in 5G network infrastructure would pose a risk to the U.S., a senior American senator said Thursday in an interview with CBC News Network's Power & Politics. "There are no two countries that are closer connected than the United States and Canada," said Democratic Sen. Mark Warner. "Our telecom networks are totally meshed together and if there was a vulnerability in the Canadian system, it would make America vulnerable. And vice-versa." "These Chinese telecom companies are directly influenced by the Chinese government. They are not necessarily direct arms of the government," said Warner. "The government and the communist party (have) the ability to influence their capabilities." "My specific concerns are particularly as we move into the next generation of wireless — the so-called 5G networks — that if a country were to purchase this equipment, it might have built-in backdoors so that, down the line, once the equipment was installed, the Chinese could intercept messages, communications [and] violate the security of the networks," Warner said. Huawei pushed back against Warner's claims Friday, calling the senator "100 per cent mistaken." "Huawei neither could, as a matter of technological or legal practicality, nor would as a matter of ethical business conduct, attempt what he is wrongly suggesting," said Robert Backhouse, Huawei Canada's chief technology officer. "Huawei cannot directly upload or upgrade any software into a Canadian network — this can only be done working with Canadian operators. "For more than 10 years now, we have welcomed any test or scrutiny that the government and its security establishment may seek. Our top priority is the security and integrity of the information and privacy of Canadians." In September 2018, Scott Jones — head of the Canadian Centre for Cyber Security and the federal government's top cybersecurity official — told a Parliamentary committee on public safety that there was no need for a ban on Huawei because of existing Canadian safeguards. Warner said he doesn't agree. "Huawei technology may not come with built-in malware, for example, but Huawei has the ability ... to send electronically any kind of upgrade to your system," he said. "Any kind of upgrade to your switch. Any kind of upgrade to your handheld equipment. "In sending those upgrades, you can plant malware. You can plant a backdoor. You can plant the allowance, in effect, the ability to spy on Canadians or the Canadian government or Canadian national security ability to communicate." Warner said it would be really hard to predict the consequences should Canada decide to proceed with Huawei technology, but there would have to be some degree of "untangling" of Canada-U.S. telecom networks. "I think that it would prove to be a real challenge," he said, adding that it could add further tension to a Canada-U.S. relationship that "is a bit unstable."